It is always good to get a display like that of Present Man so early in the jumps season to really stir the soul. Winning the Badger Ales is a clear career-best effort for him but surely not a culmination, if we know anything of his trainer and how well he does with similar types. The Grand National is now on the radar for Present Man. With Politologue also booking his ticket to the big time this week, Paul Nicholls has plenty of reason to smile as the season hits full stride. We have regularly celebrated trainers who have enjoyed success in the other code – Gordon Elliott with Beckford on the Flat among the latest. But few trainers manage to operate as well in both codes at the same time so Ian Williams's Elite Hurdle-November Handicap double on Saturday was a rarity. And he achieved this notable landmark with a fraction of the resources of some of his better-known colleagues. Beckford took Elliott to the Breeders' Cup last weekend but back on home soil he showed his Flat success has not come at the expense of the jumps as he completed a four-timer, including a hat-trick in the Graded races at Navan on Sunday. Groom Steven Croft says a poignant farewell to retiring Melodic Rendezvous: "You are one in a million Melodic. The most talented I’ve ever known but much more than that a great mate. A long and happy retirement has no doubt been well earned and you’re welcome over anytime, Champ x." 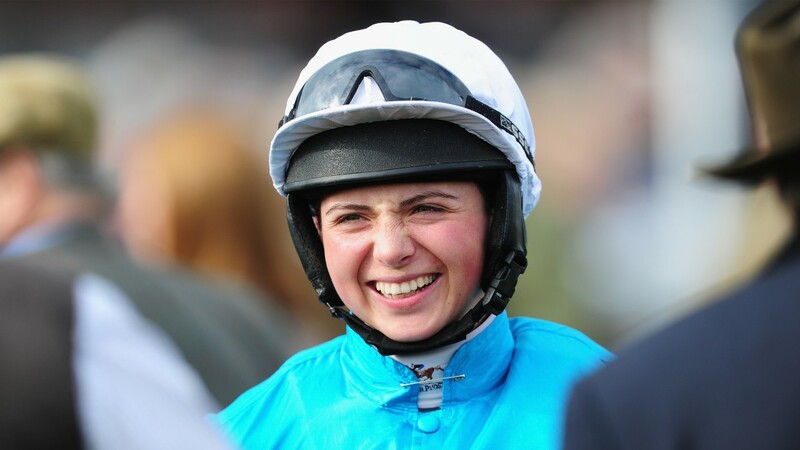 A big shout for Present Man's rider Bryony Frost, who got everything right in the saddle from level-headed pacing down to strength in the finish. She has proved herself an engaging presence out of the saddle, too. Comparisons with Lizzie Kelly are inevitable and not in the least bit exaggerated. Abbie McCain is splashing in shallower water than Frost, but splashing she is – along with younger sister Ella. Big sis got her first win against the pros on Tawseef at Kelso, as part of a double for dad Donald with Becher-bound Federici, and has quietly impressed with the improvement in her riding over the last year or two. Having grown used to seeing the mercurial Might Bite conspire and even once succeeding in throwing away certain victory he was a bit of a letdown on that score when he returned to action with a drama-free success. His behaviour has endeared him to a host of followers but perhaps when starting a 4-9 favourite is not the time for a display of waywardness. Is that you, Buywise? Hang on, he's going to get there after all. Must be On Tour, then. A doff of the cap to Paddy Brennan, who must surely have had some conflicting emotions when he was asked to take the ride on Theatre Guide in the same silks as Cue Card. Not only did he show there were no (or at least very few) hard feelings with connections, he went on to guide Theatre Guide to a creditable third in the Badger Ales.